Hopefully, you didn't spend your Labor Day weekend trapped in bumper-to-bumper traffic, but if you did, a new study indicates that may be something you'll have to get used to. America's traffic is only getting worse, even though we're driving less. Here's why. You've heard it over and over again from a news media that is all-too eager to jump on the narrative without examining the facts: America's love affair with the automobile is coming to an end. Car culture is dying, they say. People don't enjoy driving like they used to. The Millennials, Those Damn Kids, are too preoccupied with their cell phones to buy cars anymore. We at Jalopnik have spent considerable time and effort dispelling these falsehoods. And guess what? New car sales speak for themselves. They are surging across the country, with this August being the best month for auto sales since before the recession happened. That's good news, even if the sales are mostly among older folks, which as I keep saying is because they can afford it. It's not because their Millennial kids hate cars, it's because their Millennial kids face massive student loan debt and unemployment. The thing is, even as Americans buy more cars, it's been proven that they are in fact driving fewer miles than in previous decades. We are currently down to our lowest level of miles driven since 1995, way down from the peak in 2005. This can be ascribed to a variety of factors, including new technology that enables more telecommuting, the aging Baby Boomers not needing to drive as much, higher gas prices, a rise in public transportation and people moving back to cities, and yes, younger people not driving as much because they can't afford to. Back to that new study I mentioned at the beginning. It turns out that even with fewer miles driven, more cars on the road is a recipe for increased congestion. 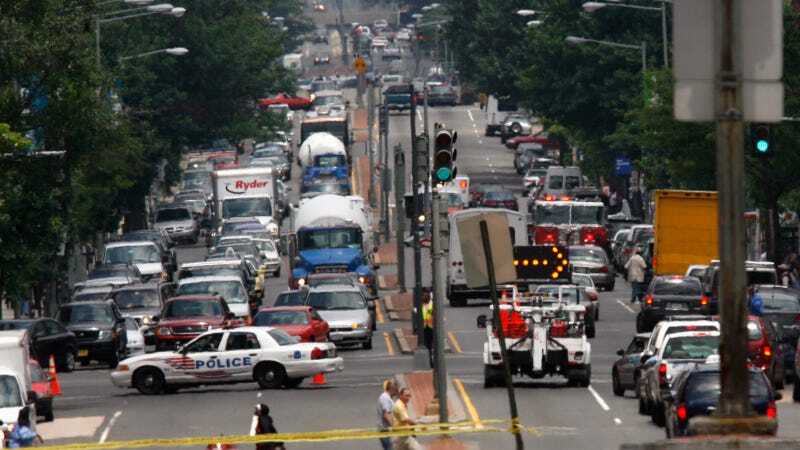 As reported in The Car Connection, the study from the U.S. Travel Association says some parts of the country could see congestion on par with Labor Day traffic all year round. Ouch. The Association looked at key travel corridors across the U.S., comparing regular traffic, holiday traffic, and rates of growth. In a nutshell, they found that traffic volume is outpacing our highways' ability to accommodate that growth. As a result, even the most minor fender-bender can cause miles of slowdowns. [...] the number of vehicles on the road continues to increase, thanks to business growth, population growth, and other factors. So, yes, we're driving less, but there are more of us driving. That means a net gain of cars on the road, which means an increase in traffic. I think it's safe to say that there are few things we auto enthusiasts hate more than heavy traffic. While it's nice that car sales are climbing again, heavy traffic is the last thing anyone wants, whether you're in a fun car that's your hobby and passion or just a guy in a Camry who's trying to get to work on time. The areas that stand to see the largest increases in traffic are along 1-95 on Florida's Atlantic coast, I-95 between D.C. and New York, and I-5 between Los Angeles and San Diego. Not only are highways too small to handle the increasing volume of vehicles, but our roads and bridges are crumbling, meaning that the infrastructure we do have is dangerous (causing accidents) and frequently under repair (causing construction delays). None of that helps traffic congestion. What we seem to have is a perfect storm of problems that will lead to traffic getting worse and worse. As I see it, the only solution is to beef up our transportation infrastructure — especially our public transportation options — but that takes plenty of time and money. Only then will the roads be a little more freed up for people like you and I who enjoy going for a nice spirited drive.